This is official option file EDIT00000000 applied from Konami weekly updates. 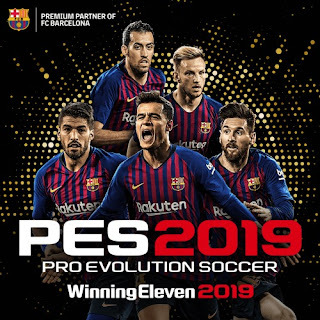 This option file is downloaded via PES 2019 Updates. - Included latest Live Update Implemented. - Remember, this option file is only PES 2019 Vanilla game ( Non Patch ). If you're using any patches like PTE Patch, Smoke Patch19, Multiverse, PESGalaxy, etc this file will probably messed up your patch, so do not use this file ! - If you already had edited teams, Backup your EDIT00000000 first ! 1. Make sure you have latest version of Datapack ! Fixed, should be working by now.